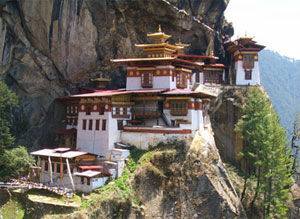 THIMPU 3 NIGHTS, PARO 1 NIGHT, JAIGAON 2 NIGHTS. Pickup from NJP/Bagdogra to Jaigaon, overnight at Jaigaon. Jaigaon to Thimpu (6 hrs), overnight at Thimpu. Thimpu sight seeing, overnight at Thimpu. Thimpu to Punakha via Dochula & Wangdue, whole day sight seeing, overnight at Thimpu. Thimpu to Paro, whole day Paro sight seeing, overnight at Paro. Jaigaon / Lataguri to NJP/Bagdogra. NewJalpaiguri/Bagdogra to New Jalpaiguri/Bagdogra via Jaigaon, Thimpu, Paro, Punakha by Indica. NewJalpaiguri/Bagdogra to New Jalpaiguri/Bagdogra via Jaigaon, Thimpu, Paro, Punakha by Scorpio/Quails. Today, there have been 3 visitors (48 hits) on this page!